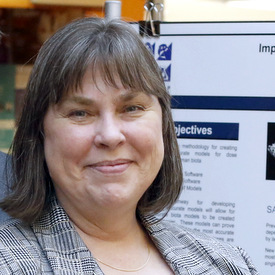 Kathryn Higley’s interests include environmental transport and fate of radionuclides, radioecology, radiochemistry, radiation dose assessment, neutron activation analysis, nuclear emergency response, and environmental regulations. She has held both reactor operator and senior reactor operator’s licenses, and is a former reactor supervisor for the Reed College TRIGA reactor. National Research Council. 2008. Review of the Toxicologic and Radiologic Risks to Military Personnel from Exposures to Depleted Uranium during and After Combat. Washington, DC: The National Academies Press. http://dx.doi.org/10.17226/11979. Higley, K., 2006. Effects of Radioactivity on Plants and Animals. Food Science and Technology, pp.209–224. Available at: http://dx.doi.org/10.1201/9781420019278.ch7. Bascietto, J.J. & Higley, K.A., 1992. Ecological Assessment at U.S. Department of Energy Environmental Restoration Sites. Ecological Indicators, pp.1219–1238. Available at: http://dx.doi.org/10.1007/978-1-4615-4661-0_30. Bréchignac, F. et al., 2016. Addressing ecological effects of radiation on populations and ecosystems to improve protection of the environment against radiation: Agreed statements from a Consensus Symposium. Journal of Environmental Radioactivity, 158-159, pp.21–29. http://dx.doi.org/10.1016/j.jenvrad.2016.03.021. Higley, K.A., Alexakhin, R.M. and McDonald, J.C., 2004. Dose limits for man do not adequately protect the ecosystem. Radiation protection dosimetry, 109(3), pp.257-264. http://dx.doi.org/10.1093/rpd/nch322. Higley, K.A. & Povetko, O.G., 1999. Preparation of Soil Thin Sections for Contaminant Distribution Studies. Contaminated Forests, pp.85–93. http://dx.doi.org/10.1007/978-94-011-4694-4_9. Higley, K.A. and Strenge, D.L., 1992. Use of a Monte Carlo Modeling Approach for Evaluating Risk and Environmental Compliance. Effective and Safe Waste Management: Interfacing Sciences and Engineering with Monitoring and Risk Analysis, p.337. Committee 5, Protection of the Environment (2005-2018). Vice Chair C5, 2013-2015. Chair C5 2015 – 2018. Committee 4, Application of the Commission’s RecommendationsVice Chair (2017-2020).